Proposed changes to how telecommunications capacity is allocated could improve services for some rural Internet users, but be a step backward for those living on the outskirts of major population centres. Industry Canada is proposing to reclassify population centres of more than 30,000 people as “urban” and reallocate spectrum currently used only used for high-speed Internet in those areas, known as fixed wireless broadband, to cellular. Governments manage access to radio frequencies, known as spectrum, that can be used for wireless communication, usually through public auction. “People in those areas already have cell phone coverage, but under the proposal they would lose their home Internet connection as a consequence, ” said Allison Lenehan, president of Xplornet Communications Inc. in a release protesting the proposal. Carmi Levy, a technology analyst and journalist, said if the 3500 MHz band is reallocated to include mobile service, people living in cities will have improved mobile broadband service at the expense of Internet access for people living in rural areas just outside the city. “There’s going to be a transition area where people in urban areas are going to be stomping all over people outside urban areas who have traditionally had exclusive access to this frequency,” said Levy. City residents can access the Internet via cable and DSL Internet, whereas people living rural areas must use fixed wireless broadband or satellite. Levy said the proposed changes could remove one of the few high-speed Internet options available to rural residents outside urban centres, forcing them to return to dial-up or satellite Internet services. 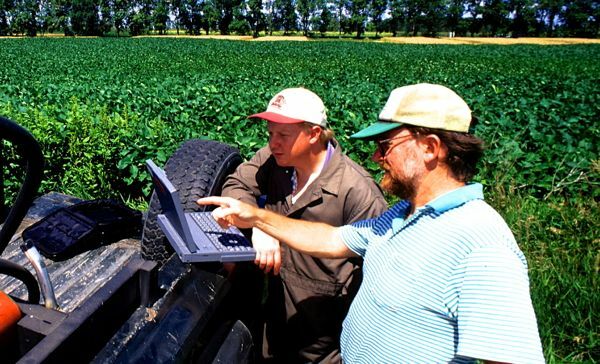 Internet access is increasingly becoming integral to farming, said Doug Chorney, president of the Keystone Agricultural Producers. His farm, located just outside of Winnipeg near East Selkirk, is among those that could be negatively affected by the change. “Industry Canada says that this is a measure designed to benefit rural Canadians who rely on fixed wireless technology for their high-speed Internet connection. However, there is a fundamental disconnect between that statement and the proposal,” said Lenehan. However, some believe the changes could benefit rural users farther removed from urban areas. The retired agrologist-turned-Internet-provider believes these changes will be beneficial. Part of the proposed licensing process for fixed wireless service details that spectrum licenses will be issued for smaller amounts — making it possible for more small companies to buy system access. Large companies will no longer be able to buy large amounts of spectrum at auctions unless they intend to build the infrastructure and use it. And spectrum might be more accessible to smaller companies because it will be sold in smaller increments. Crampton believes more competition will result in means better services for consumers. “I think the benefits in the long run to the dispersed rural population versus the concentrated rural population closer to Winnipeg would be such that the dispersed people would benefit more than any other people would be negatively affected,” he said. Levy said it is true the government has made some changes that will help most rural Internet providers, but these changes are separate from the proposal to repurpose 3500 MHz fixed wireless access. If the latter changes occur, the people affected will be those too far out to benefit from urban services and yet close enough to have their fixed wireless Internet compromised. Industry Canada seems to recognize this. The consultation document acknowledges that under this approach some rural communities could fall within urban categories. And some large towns could require additional mobile spectrum. To address this, the department proposes to issue spectrum licenses to smaller areas as a means of meeting the demands of both mobile and fixed wireless connections. “Spectrum is a valuable public resource and it’s the government’s responsibility to allocate it in such a way that benefits all Canadians,” said Jake Enwright, the Ministry of Industry’s press secretary. Levi said telecommunications news is often glossed over because of the technical language. The department is asking for input in these decisions. To learn more, visit the Industry Canada website. Comments can be submitted by email or by regular mail to Senior Director, Spectrum Development and Operations, Industry Canada, 300 Slater Street (JETN, 15th), Ottawa, ON, K1A 0H5 by October 8, 2014. — Meghan Mast is a reporter for the Manitoba Co-operator in Winnipeg. This article originally appeared in the Sept. 4, 2014 issue (page 1).